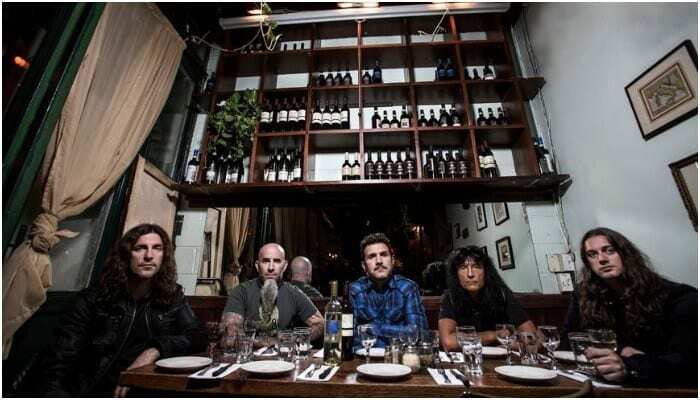 Anthrax‘s drummer Charlie Benante recently sat with Overdrive (per Blabbermouth) where he discussed the band’s new album and why he won’t post about his political views online anymore. During the interview, Overdrive asked Benante about the band’s new album, which will be a follow up to For All Kings, where they asked if Scott Ian’s previous comments on the release having a heavier sound were still the case. When asked if that was still true, Benante shared that the stuff he’s been working on for the band has been “quite aggressive.” He then went on to explain that while he’s not sure if the lyrics will be as aggressive as the instrumentals, the current political and social climate might have an effect on how it goes lyrically. During this time in the interview, he shared something interesting: he’s decided to stop sharing his political views on social media. He continued: “The whole thing that they misunderstand is that I’m not trying to bash anyone in the political field; I just have my own opinion on things, and if they keep an open mind, it may open some new ideas or thoughts of which they haven’t thought of before, just like when I listen, watch or read some other person’s opinion, it makes me think and assess my own feelings. While he won’t be sharing his political views with the internet anymore, that doesn’t mean he won’t be mentioning politics at all. As he briefly mentioned in the interview, the lyrics of the forthcoming album could very well be shaped from the current political climate that the US has found itself in, a statement that seemingly echoes past interviews with the drummer. What do you think of Benante’s decision to stop posting his political beliefs on social media? Do you agree? Let us know in the comments below!